I figured it out. Sippy cup manufacturers make leaky sippy cups because then you will have to keep buying more and more cups thinking you'll one day find a sippy cup that doesn't leak. Soon enough, you'll have bought atleast one from every brand...they're all in it together! Ha! 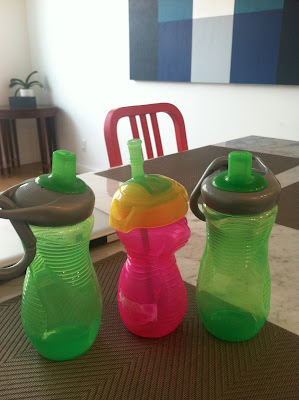 You want sippy cups to be leak proof and spill proof since you have to carry them around in your bag and toddlers drop the cups all the time. It doesn't seem like it'd be that hard to make a leak proof sippy cup, though. Does it? I've bought many sippy cups with three or fewer parts (people who are willing to clean sippy cups with five parts are insane). And none of the cups are perfect. Atleast I have found the best sippy cup available, though. And there is something you can do about the sucky cups you've bought, too. The absolute best sippy cup I've found, with the fewest parts is the Playtex Insulator Cup. Playtex's The First Sipster is also very good, but the spout is soft and can easily be chewed down. It's not that they leak, but whatever fluid that comes out of the valve, but not quite out of the spout is going to spill out if the cup. Atleast you know it's not going to be that much liquid that comes out, but you can't say it's "spill-proof." 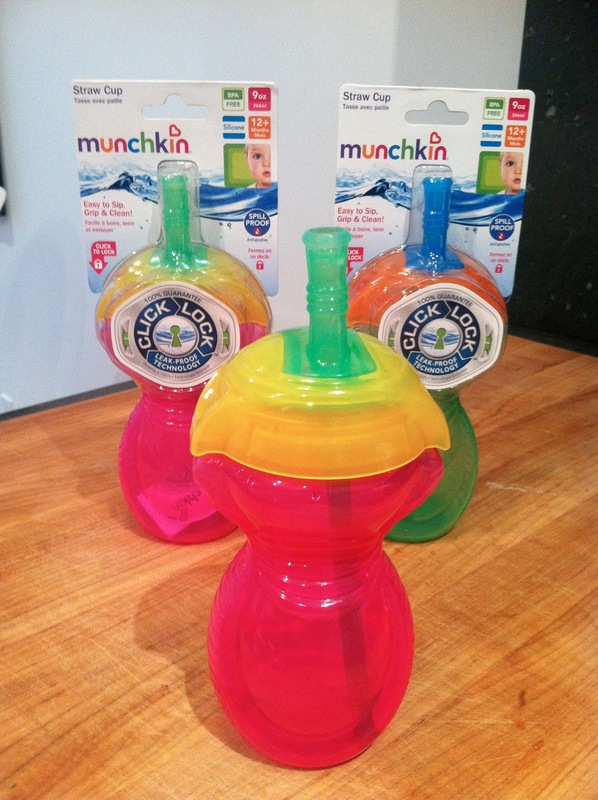 If you've bought sippy cups that have leaked, however, call or email those companies' customer service departments. They might send you replacement cups. It doesn't help if you don't want their cups, but atleast you get a free cup that you can use when it doesn't matter so much if the leakproofness works. I contacted Munchkin's customer service about my leaky Straw Cup and Toddler Sports Cups. They replaced the three cups with three Straw Cups. I'm not convinced that I had faulty cups to begin with, but I appreciate that Munchkin sent me new cups. Are there any sippy cups out there that are truly leak- and spill-proof? Let me know in the comments! Munchkin sent these replacement cups at no charge.